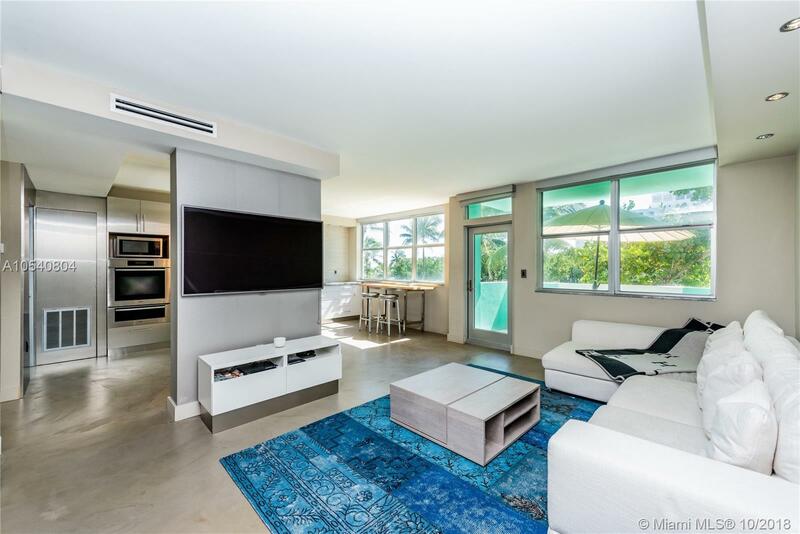 Completely renovated one-bedroom in highly sought after boutique building directly on the sand and Ocean Drive in the heart of South of Fifth. Plush balcony with sweeping ocean vistas and gorgeous water views overlooking famous South Beach and a luscious green park. Abundant light from this south facing unit with newly designed bathroom and kitchen enhance the spacious, contemporary feeling. The most comfortable and easy beach living awaits you with inexpensive maintenance fees which include covered and gated parking and direct access to the beach. Enjoy Miami Beach living at its finest with all the residential amenities South of Fifth has to offer including Miamiâs leading restaurants within walking distance from home.